We offer a broad-range of Laboratory Shakers which have risen the popularity charts due to their quality, durability, corrosion and weather resistance, economical pricing, optimum performance, usage and effective maintenance. Our products are developed from fine raw materials and excellent technology.we are also following these products. 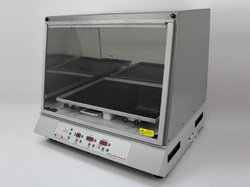 We are leading supplier of Shaking Incubators. 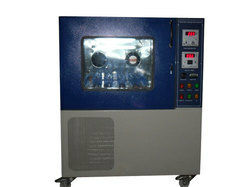 we have been able to cater to the variegated requirements of the customers by bringing forth Orbital Shaking Incubator. The offered range is controlled by hydraulic thermostat cabinet to 800C with a sensitivity + 10C beaded heating elements are placed in ribs at bottom and sides. The door has double glass viewing, which is built in horizontal L shaped thermometer with perforated adjustable shelves, two pilot lamps. Blend Composition in the Lab (Wrist Action Lab Shaker i2 Paramount Textile Wrist Action Lab Shaker i2™ is very useful equipment for Textile Colleges, Universities & laboratories for the preparation of dye solution & chemical solution, shaking of beaker carried out by wrist action vibration. This equipment helps in shaking or agitating the solution/liquor at desired speed for predetermined span of time.